Add to pasta, eat with shrimp, sugar snap peas or other crudites, add to thicken and flavor soup. Eat by the spoonful! 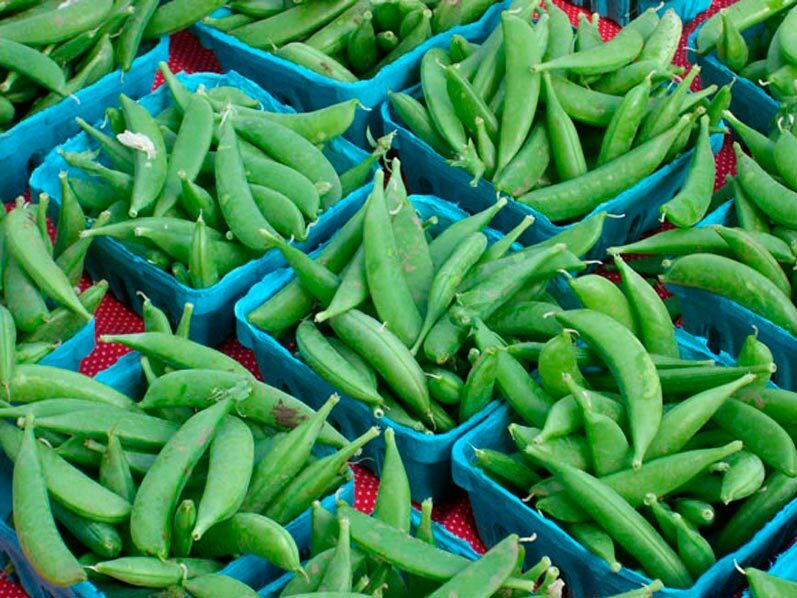 Sugar snap peas are a delight. They’re quick to prepare and add an irresistibly sweet crunch to your meal! Stir fry onions and peas in olive oil or pork lard for about 3 minutes. Add sesame seeds and optional pine nuts, stir frying another minute. Remove from heat and stir in optional toasted sesame oil. Season to taste and serve warm. Bountiful Spring Salad- Eat Your Greens!